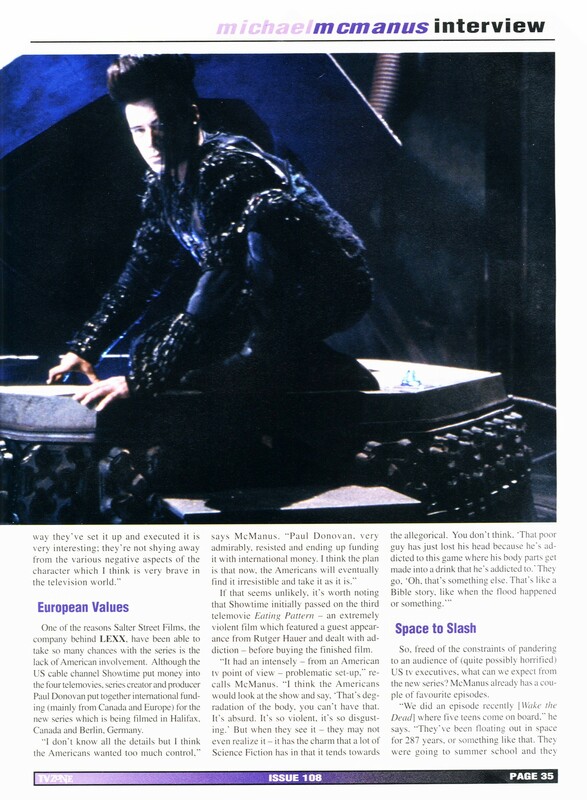 MAKE SURE TO CHECK OUT THE NEWS SECTION AND THEATER PAGE FOR UPDATES !! 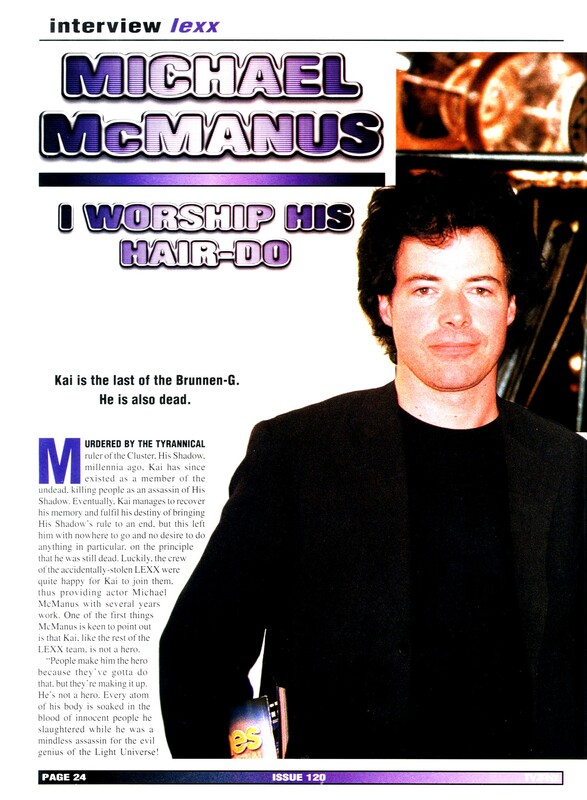 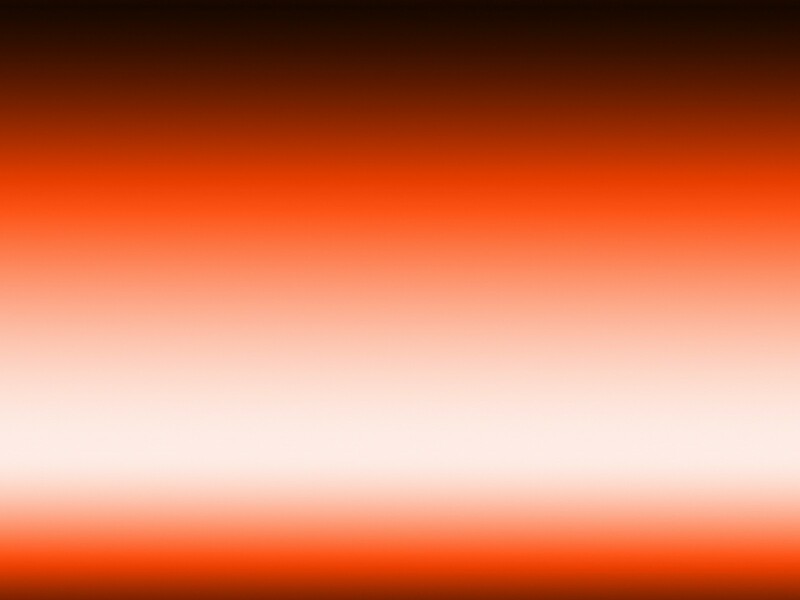 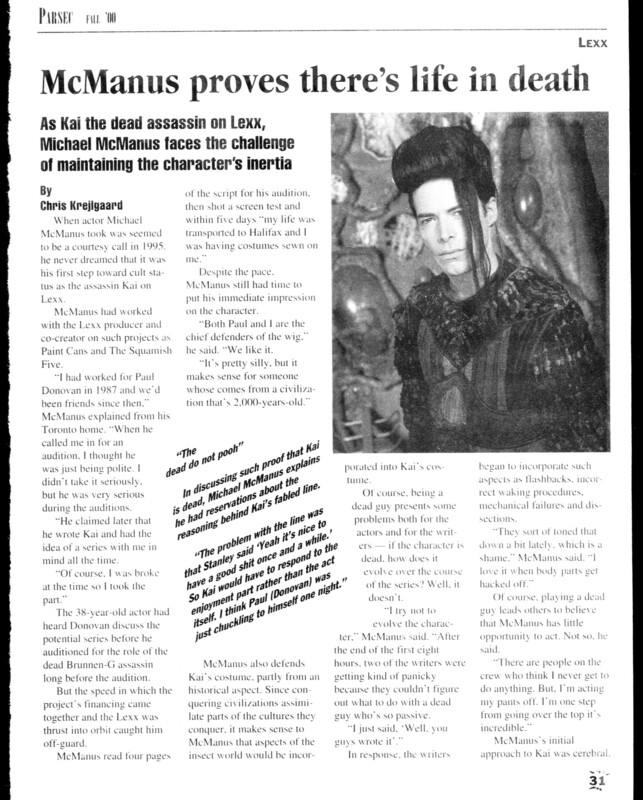 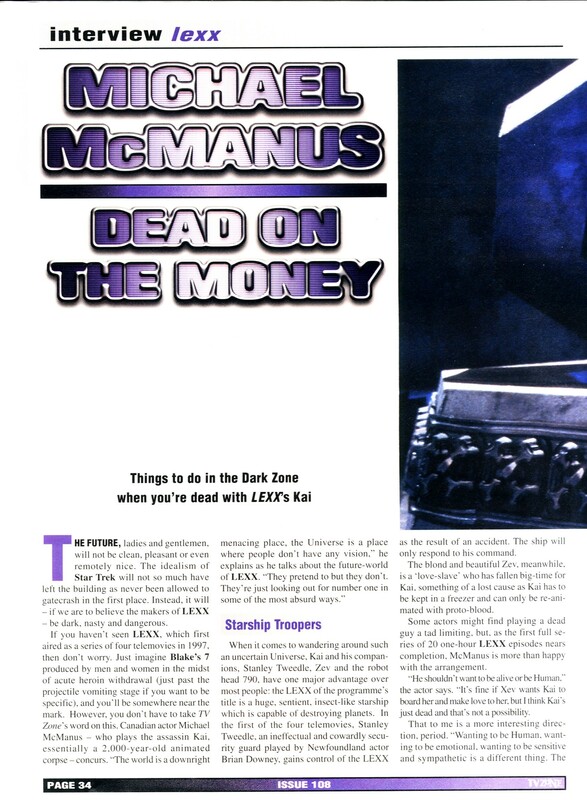 WELCOME TO THE MICHAEL-MCMANUS.COM PRESS PAGE! 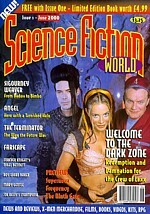 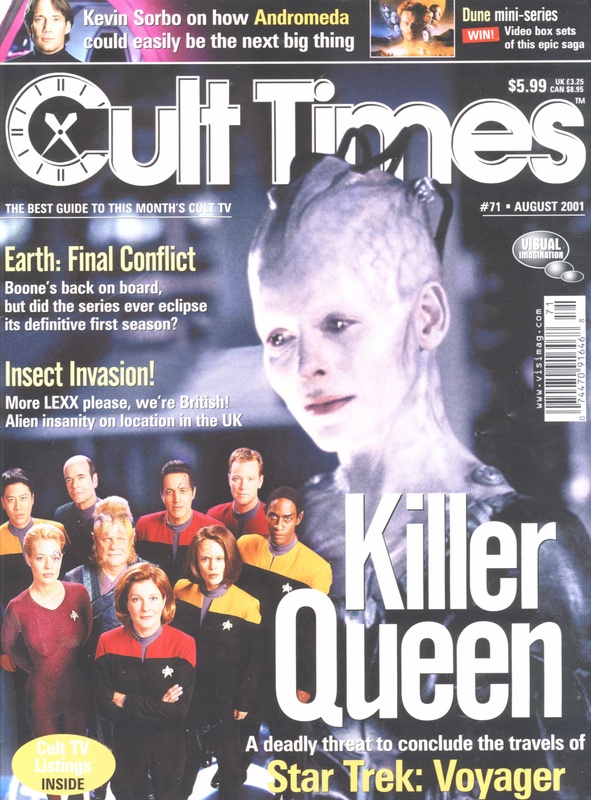 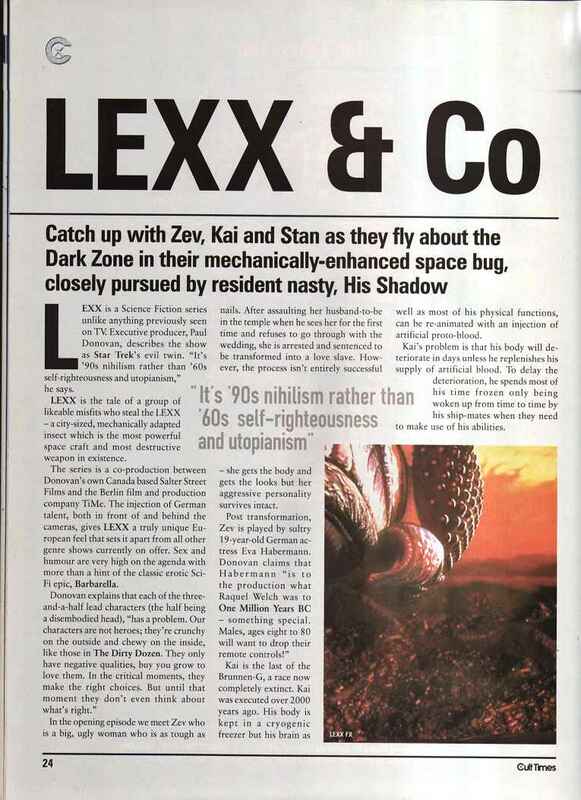 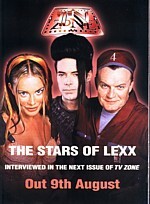 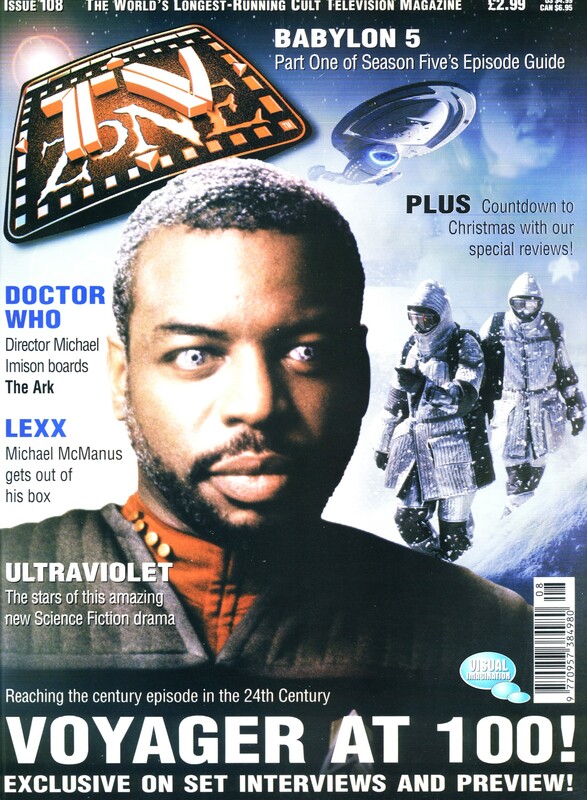 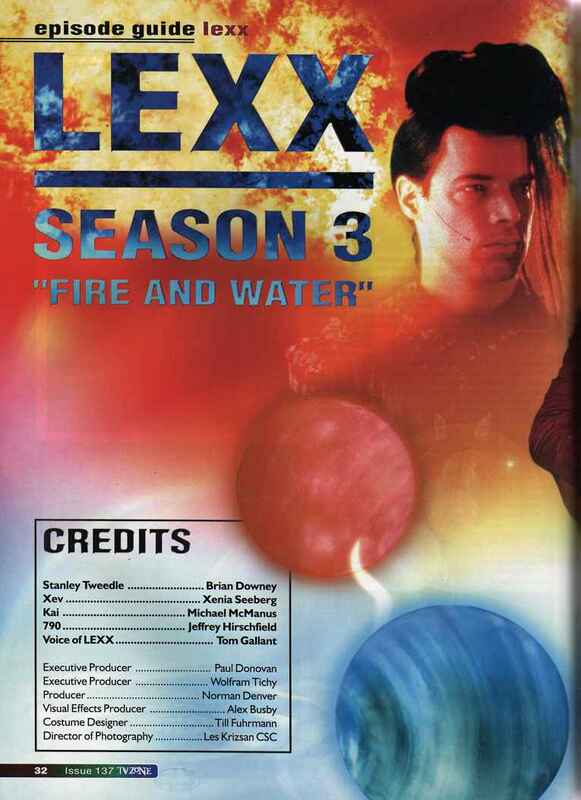 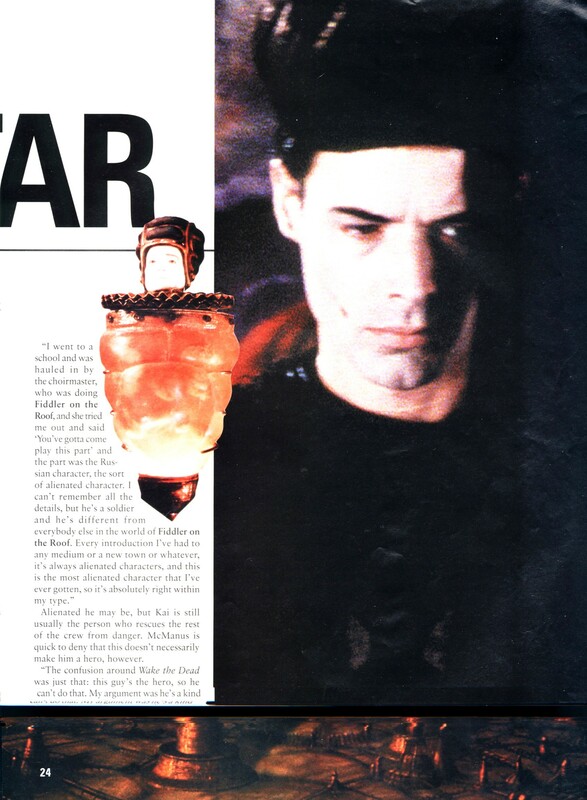 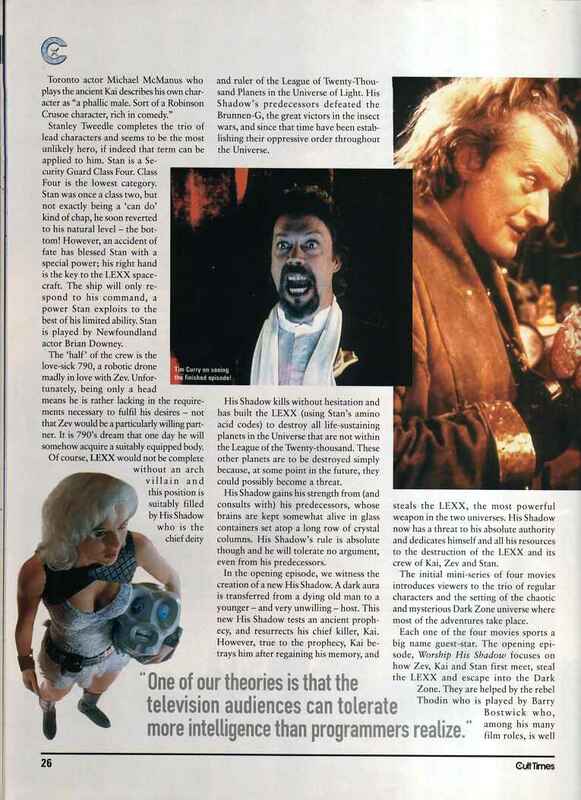 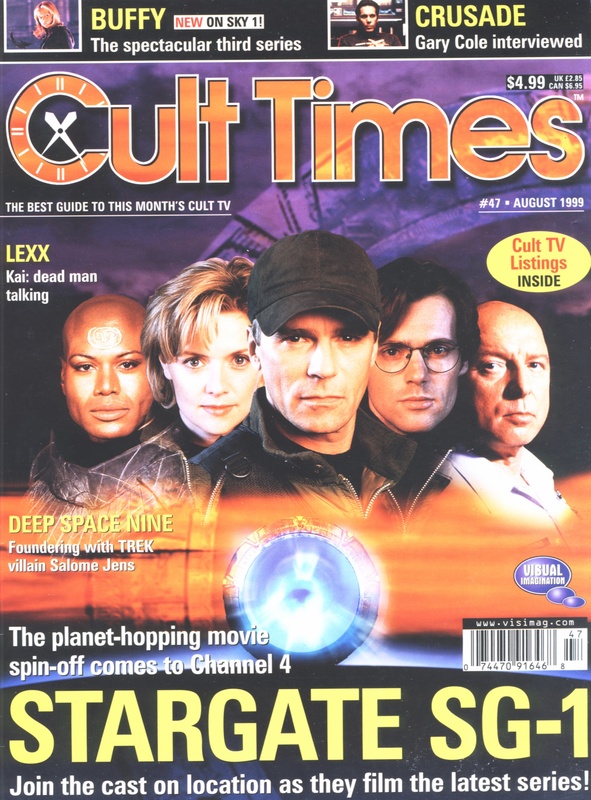 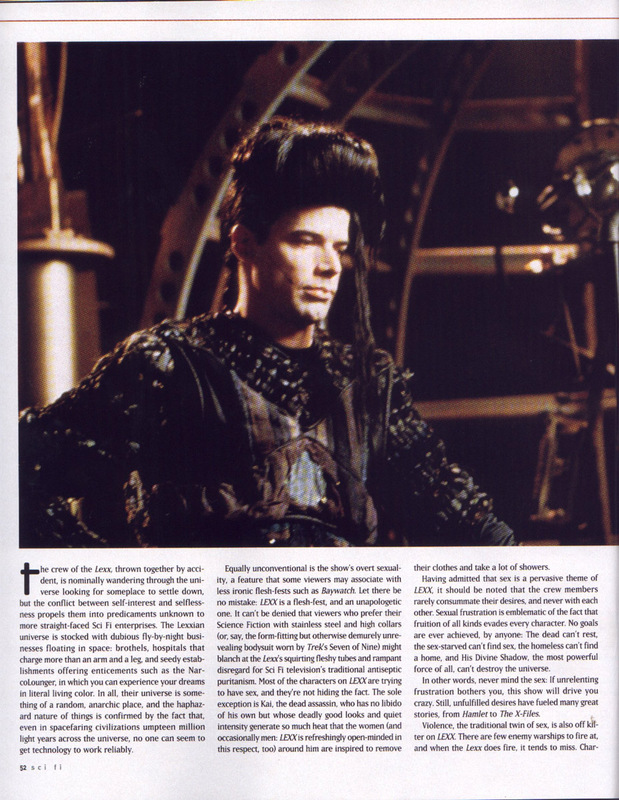 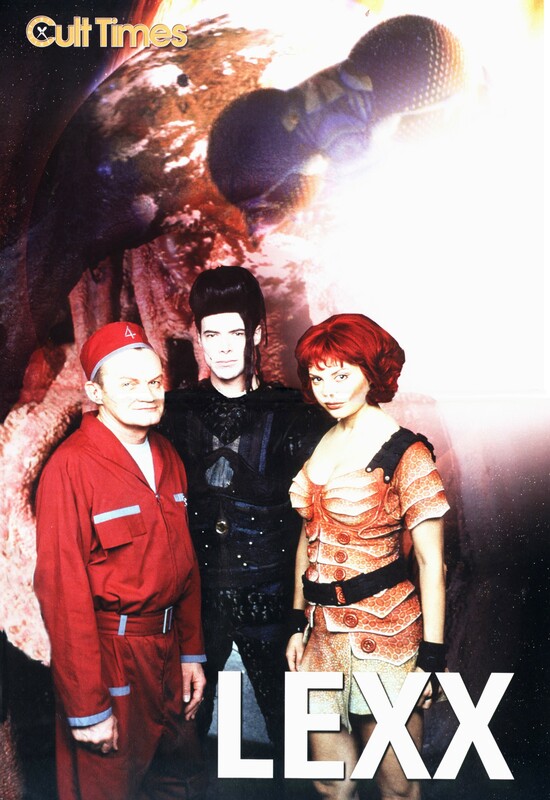 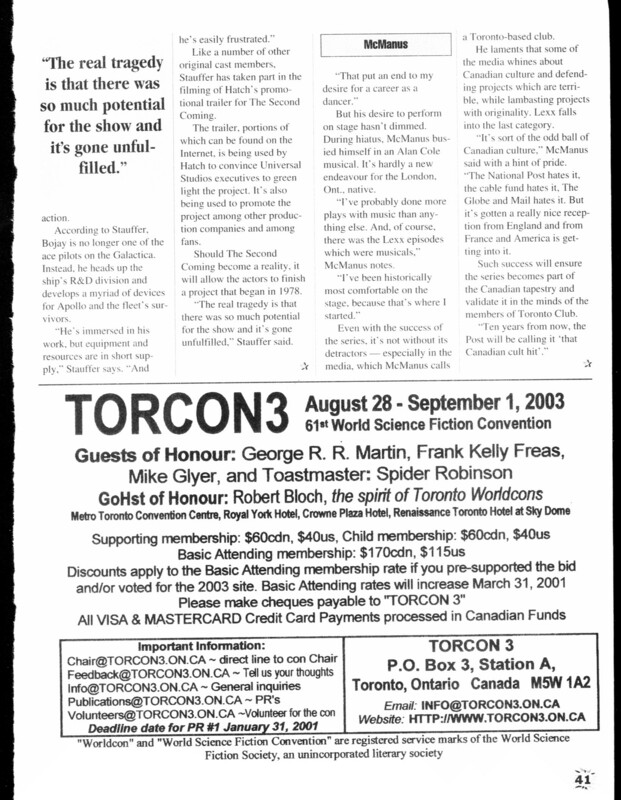 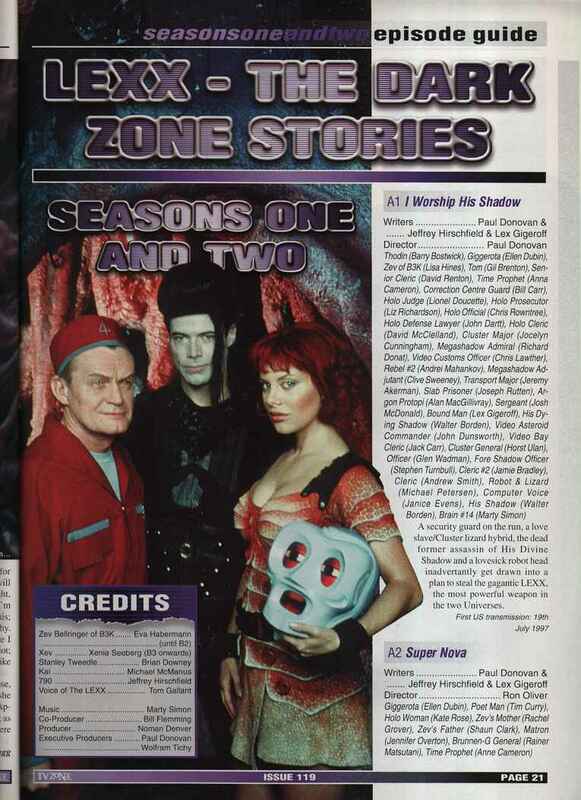 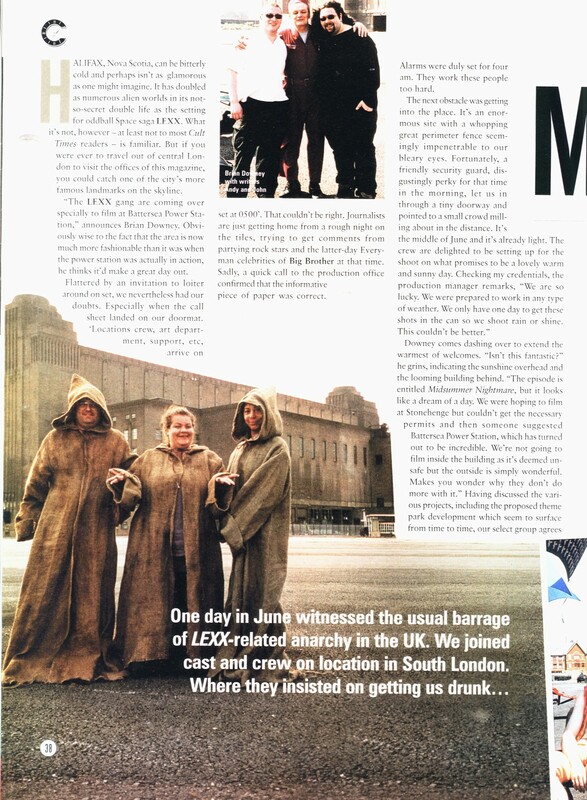 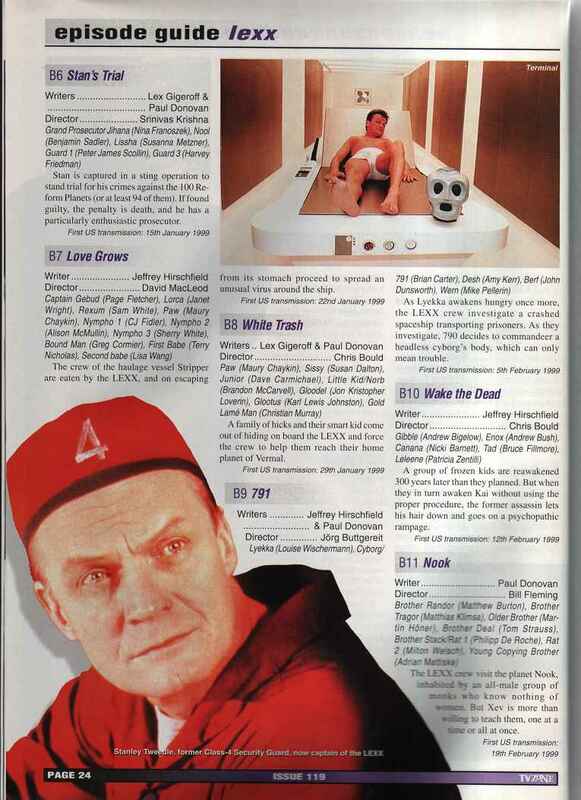 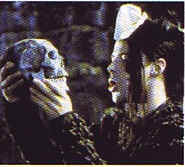 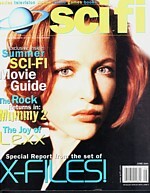 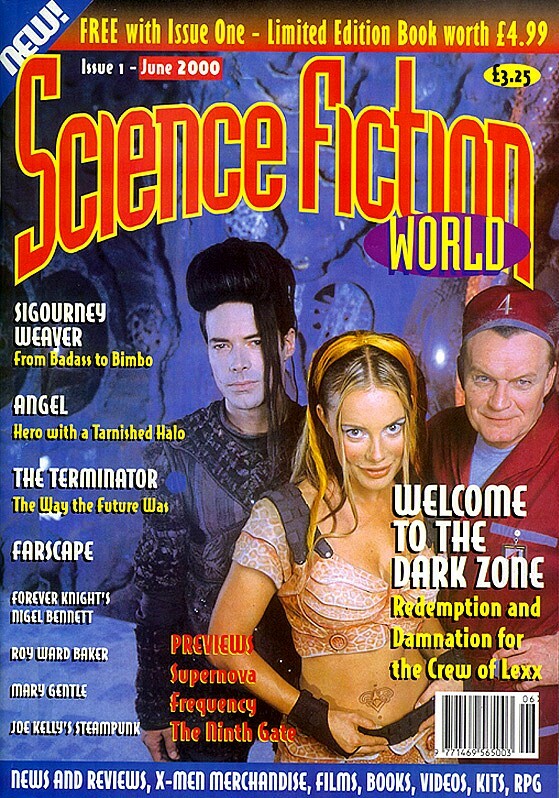 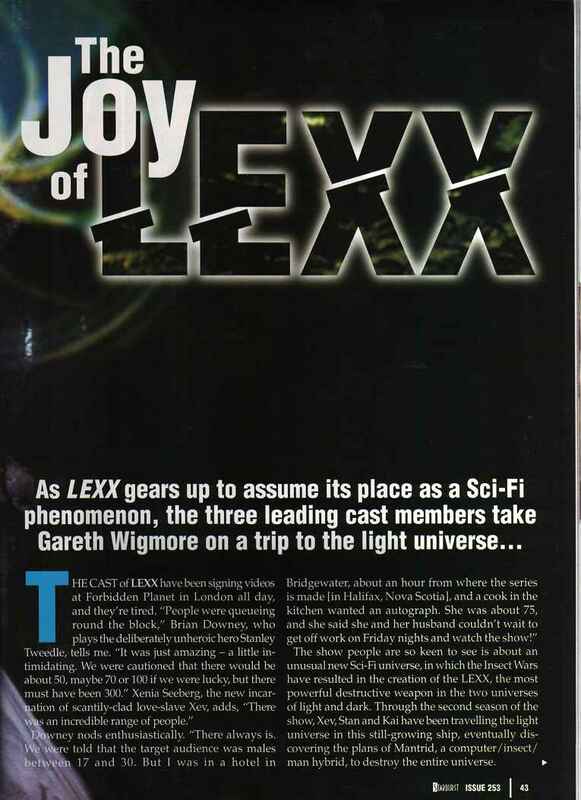 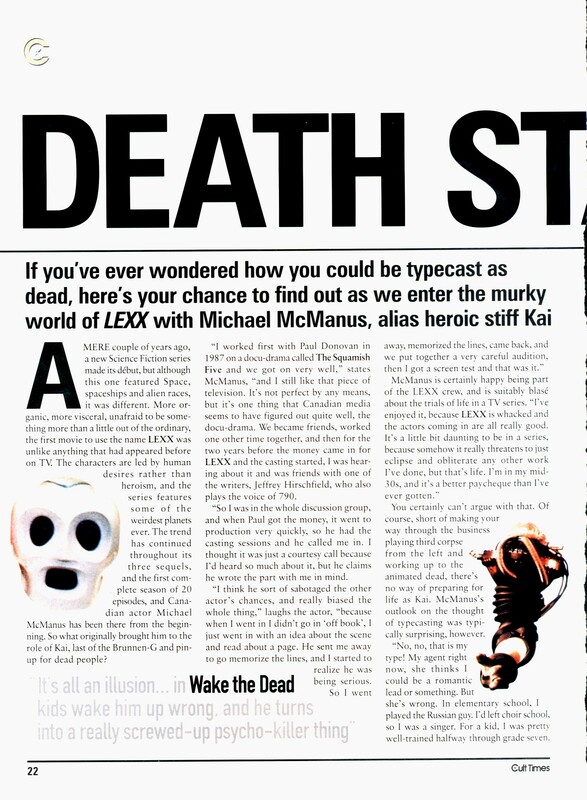 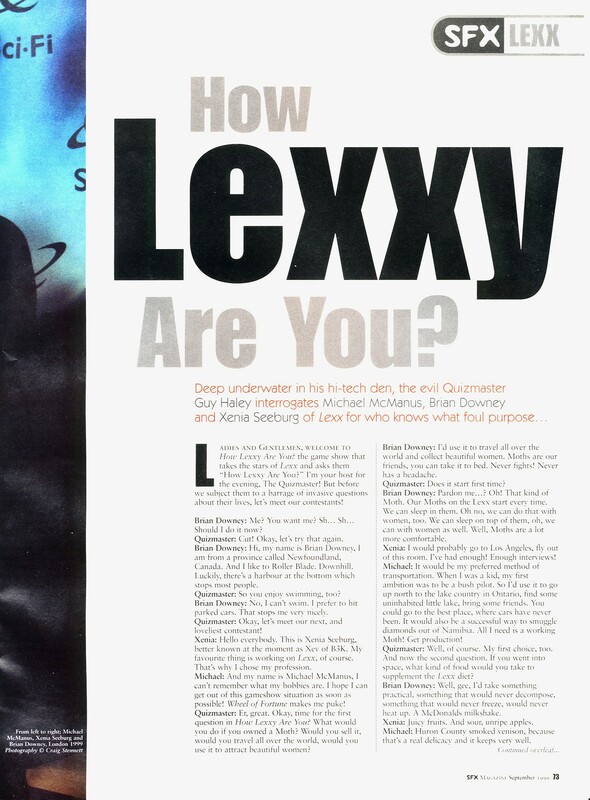 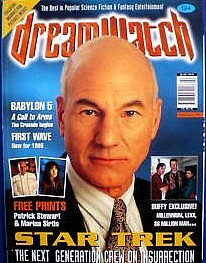 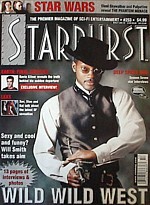 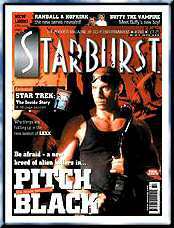 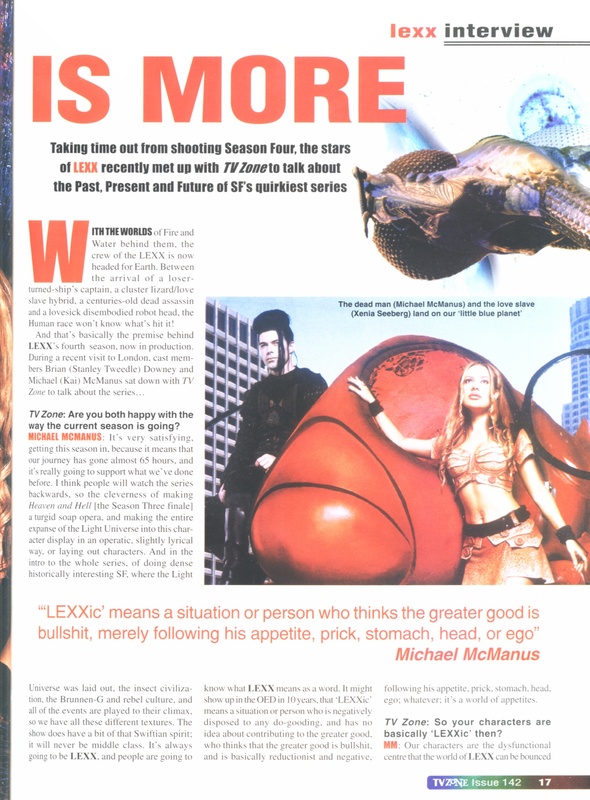 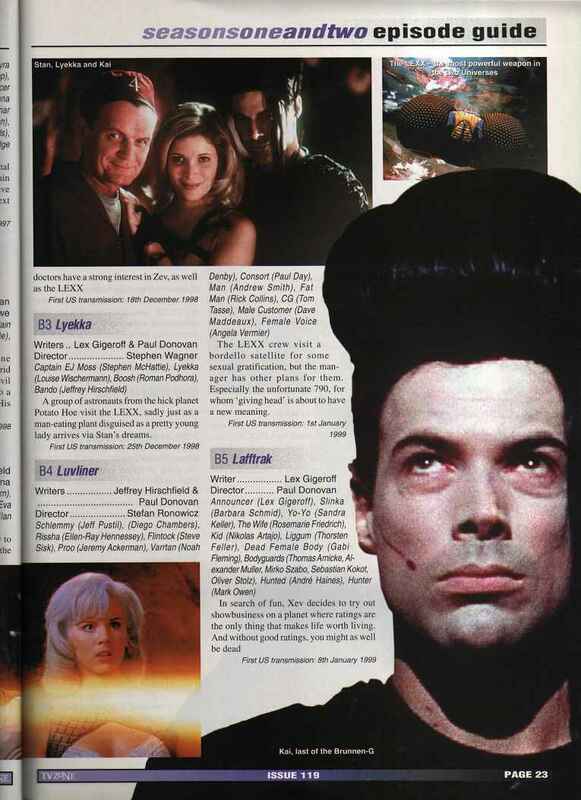 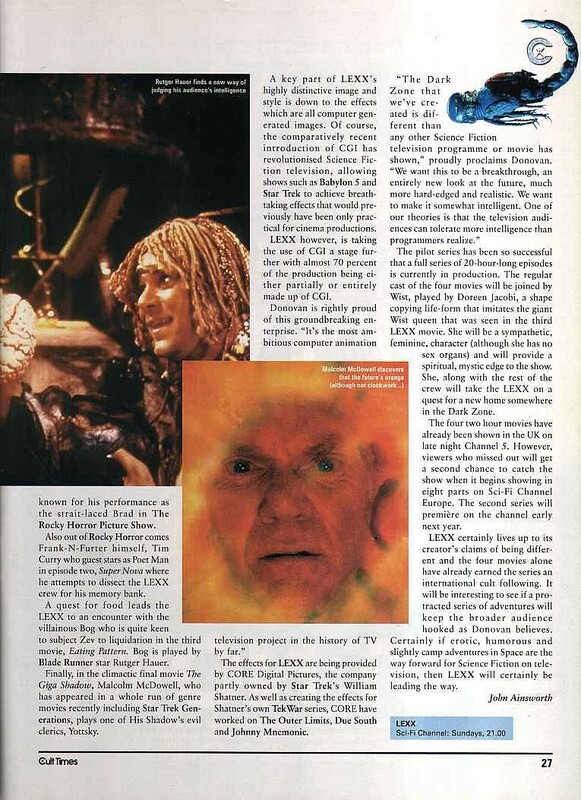 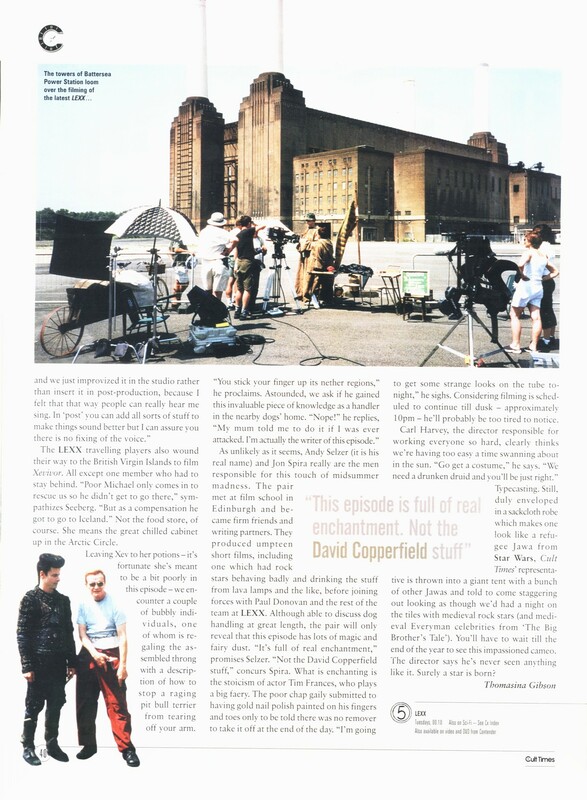 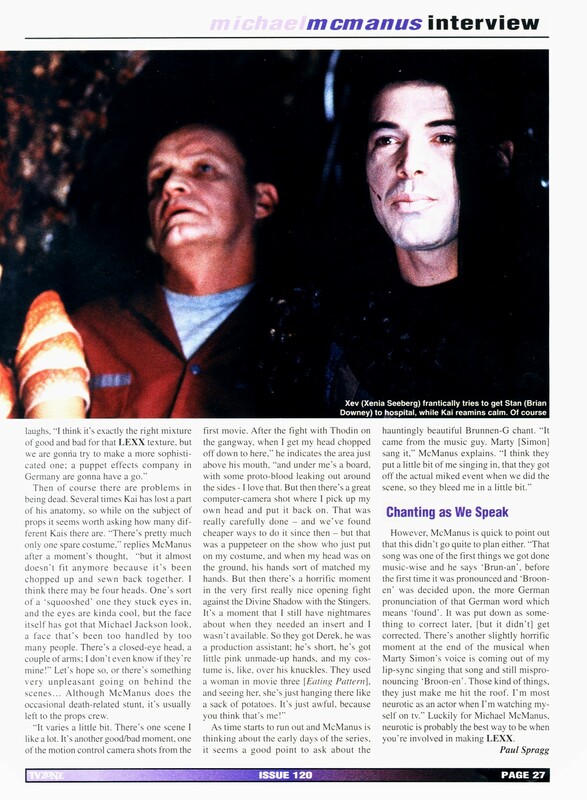 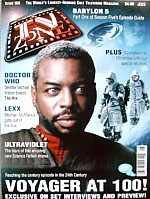 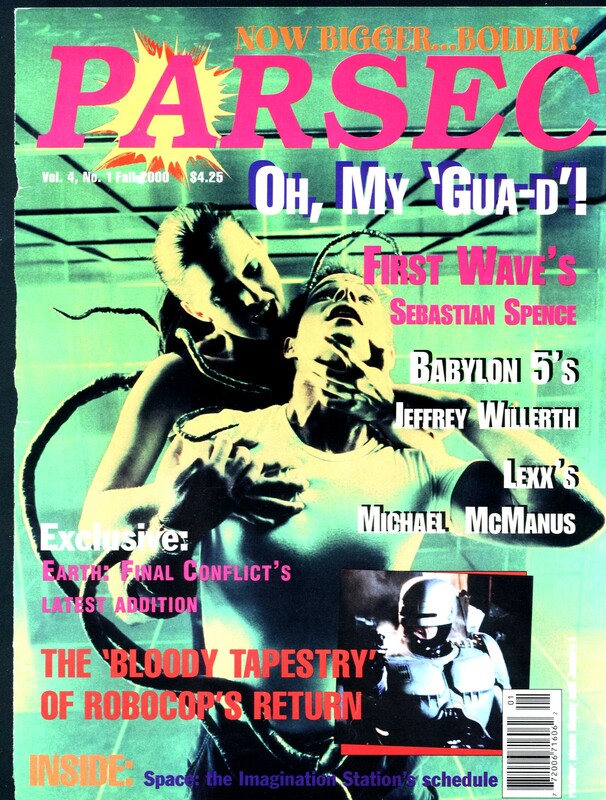 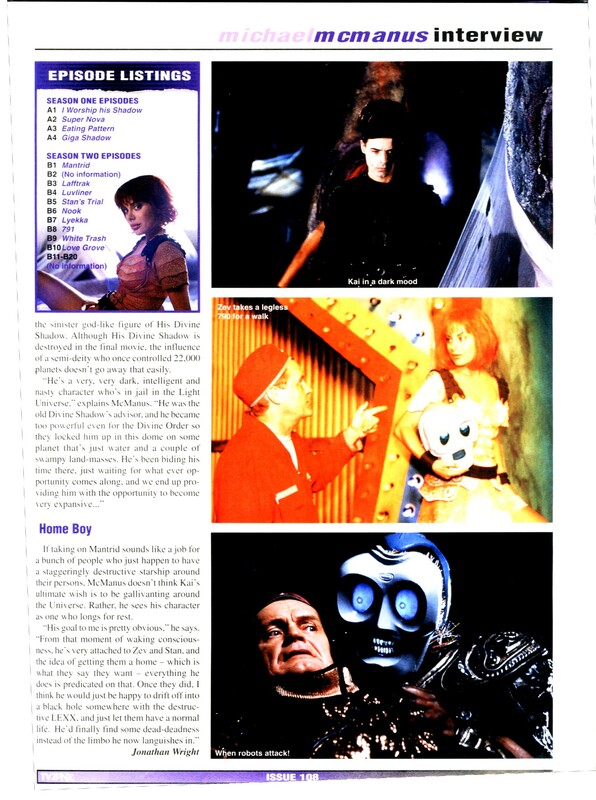 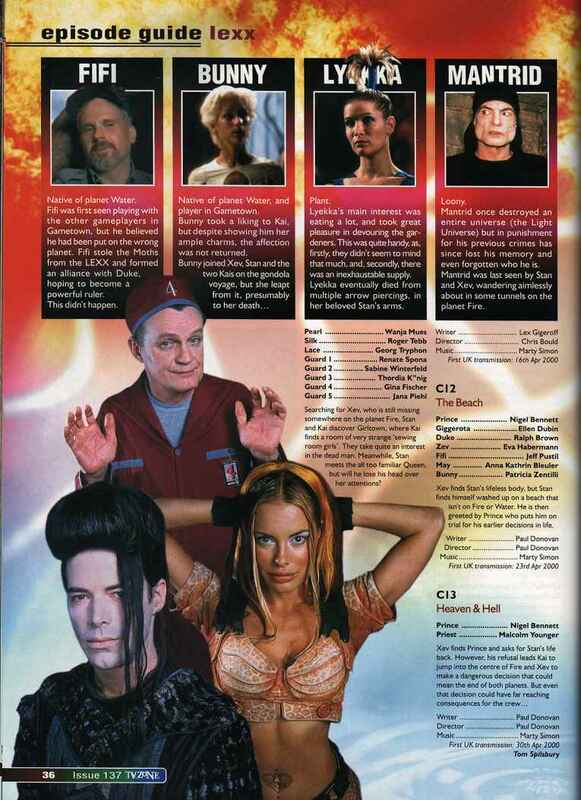 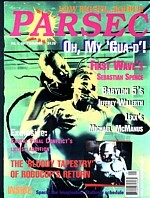 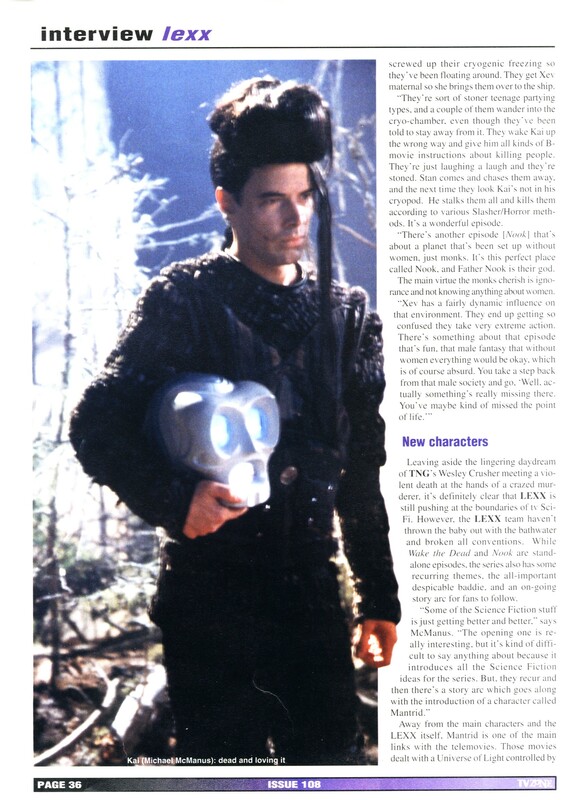 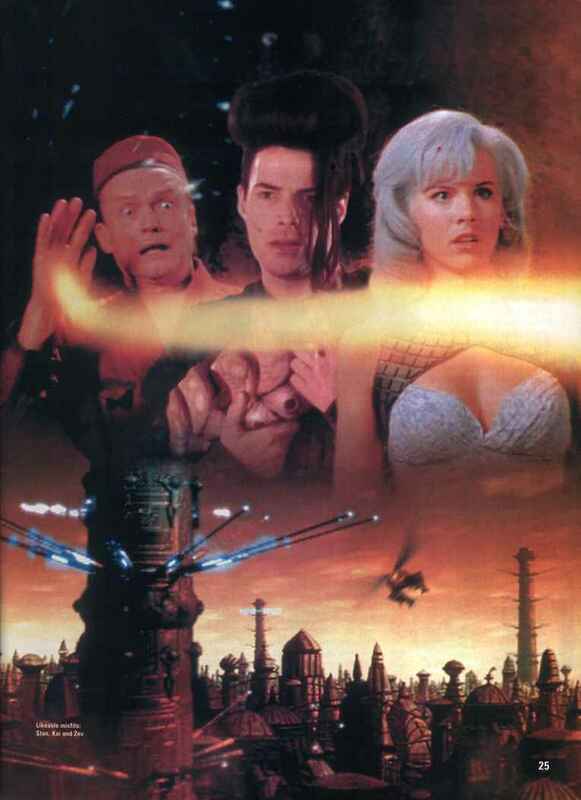 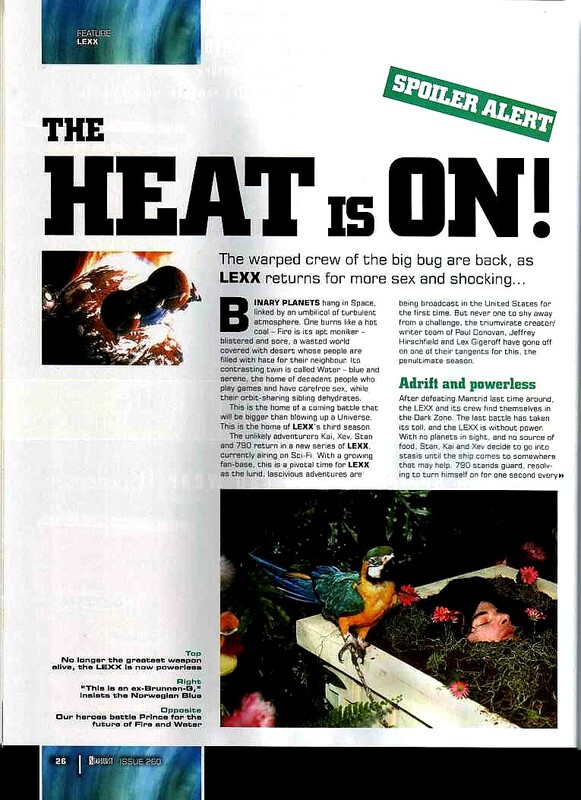 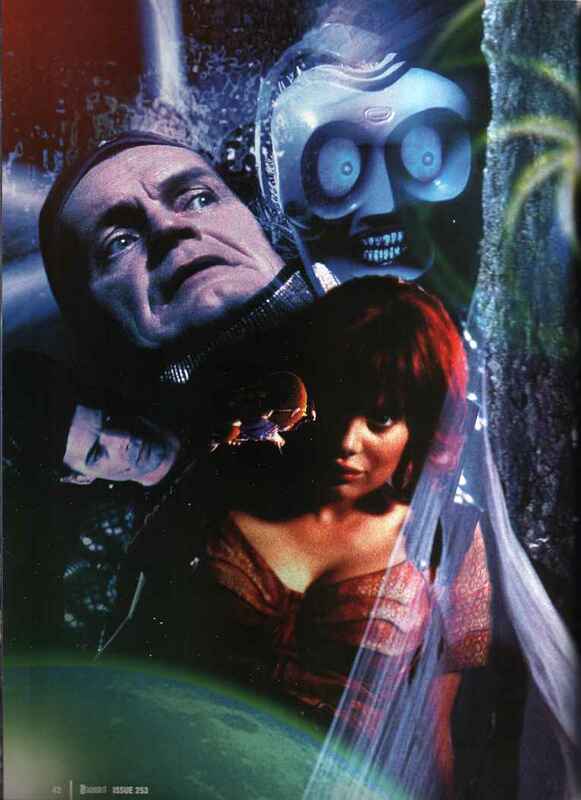 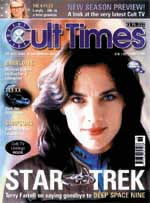 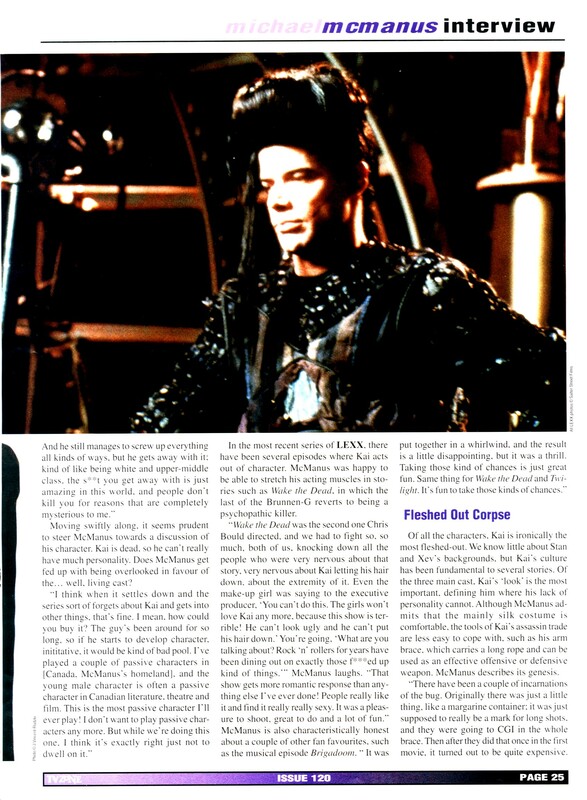 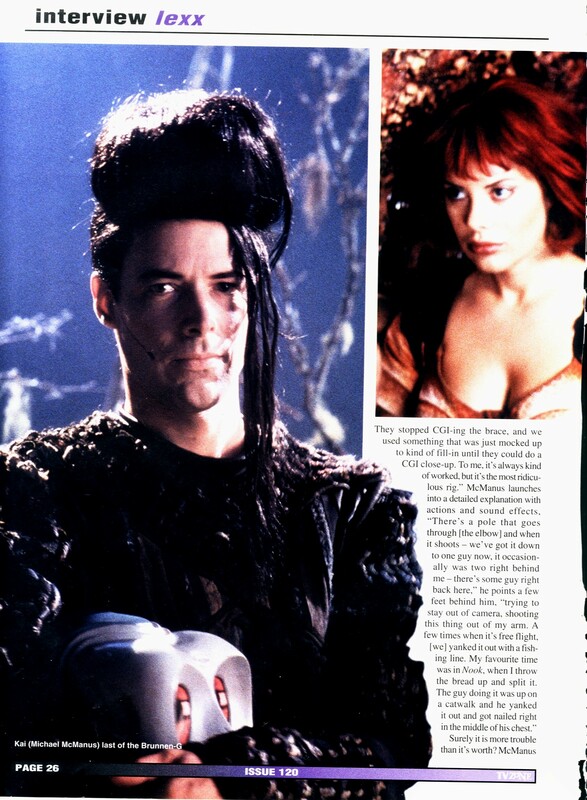 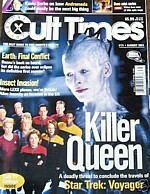 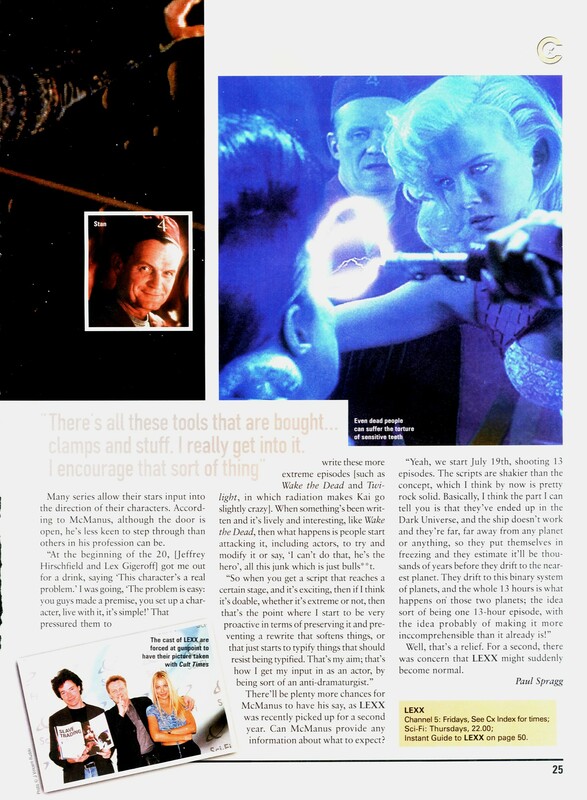 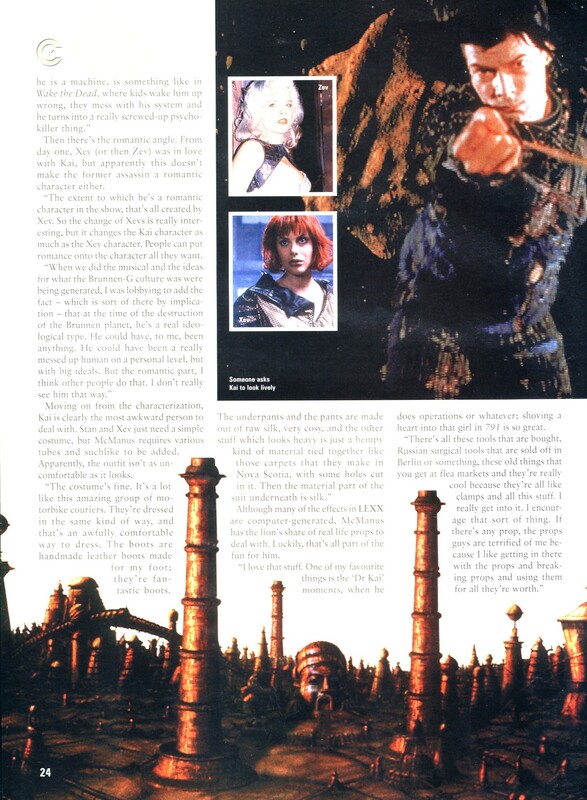 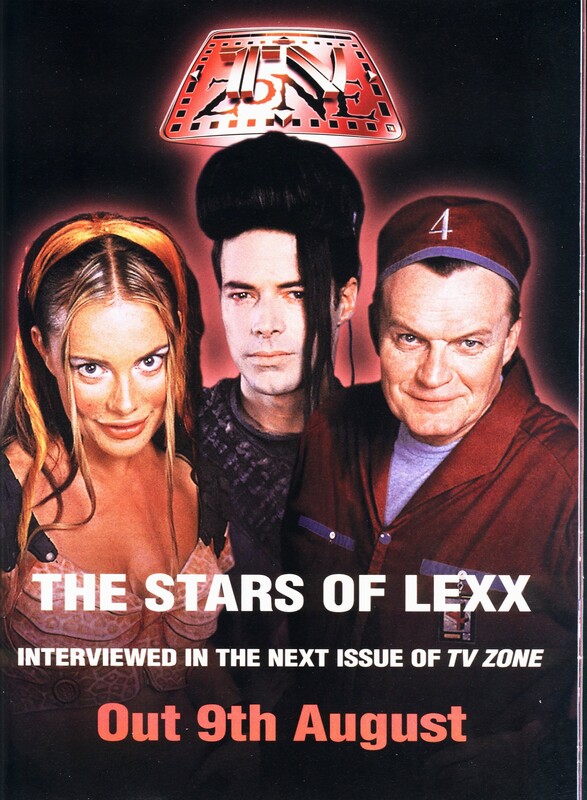 WE'VE COMPILED SEVERAL PRINT ARTICLES FOR THE LEXX TV SHOW, MICHAEL'S THEATER WORK AND FILM WORK. 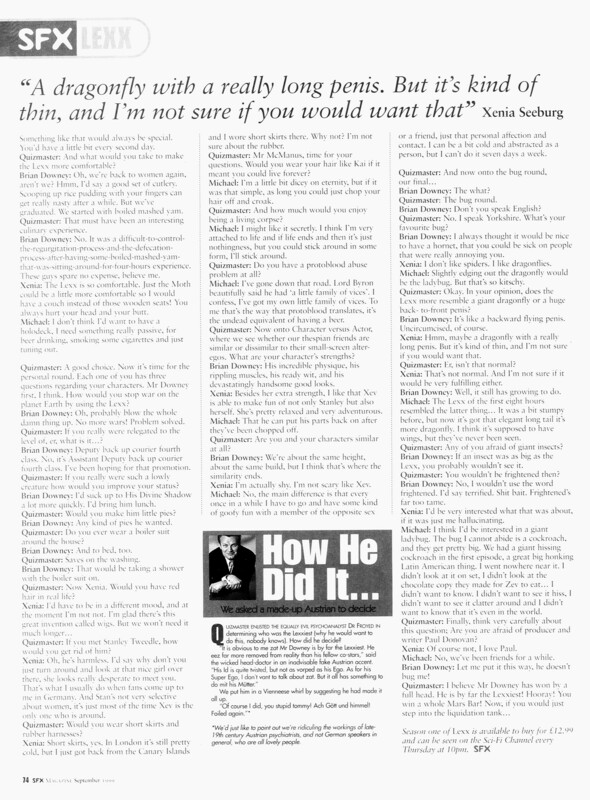 FOLLOW THE LINKS BELOW AND THEY'LL TAKE YOU TO THE FULL PAGE VERSIONS OF THE INDIVIDUAL FILES. 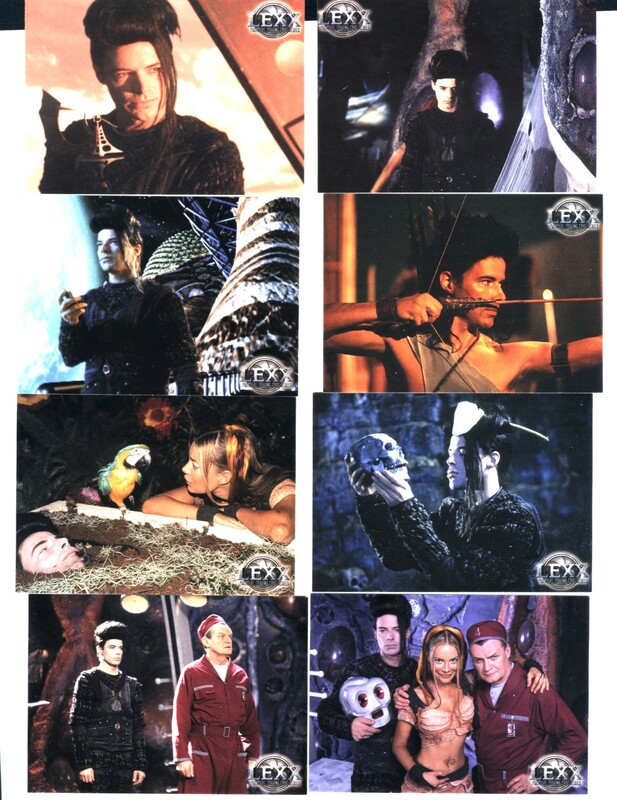 FOR THE THEATER LINKS, YOU MAY ALSO VIEW THEM THROUGH THE THEATER PAGE IN THE GALLERY SECTION. 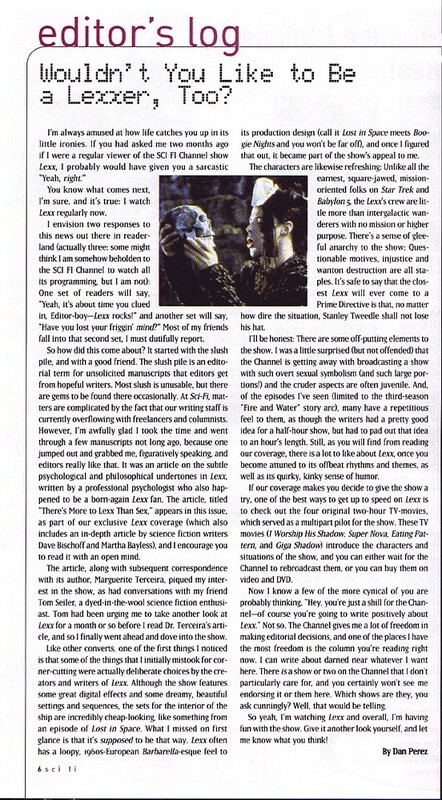 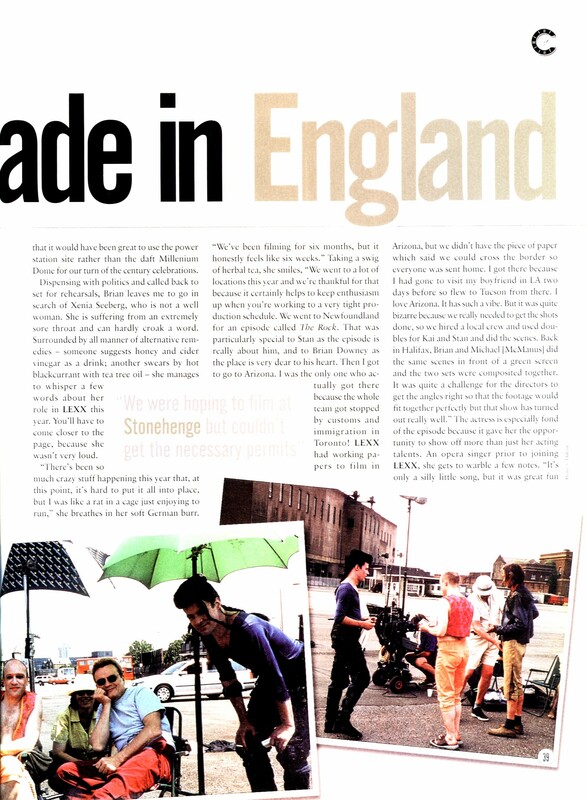 CLICK ON THE PICTURE TO TAKE YOU TO THE FULL PAGE COVER AND CLICK ON THE LINKS UNDERNEATH FOR THE ARTICLE PAGES. 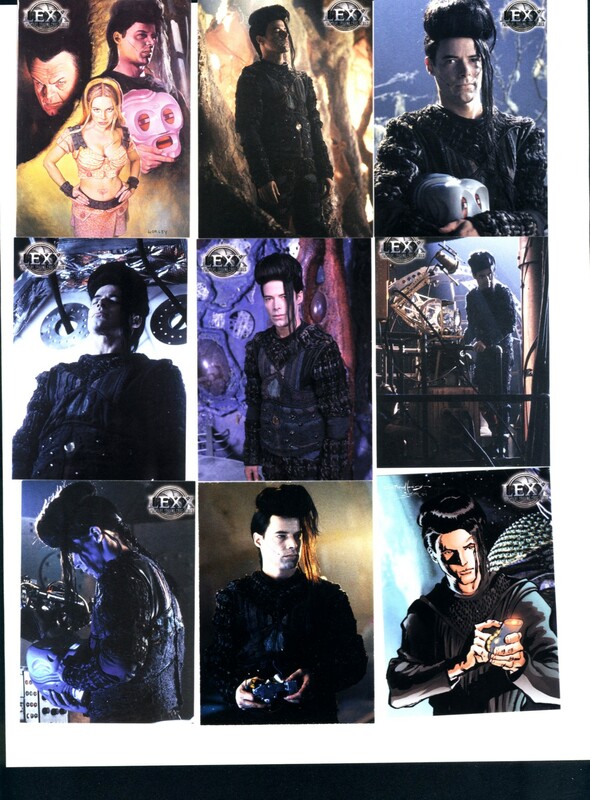 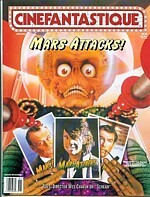 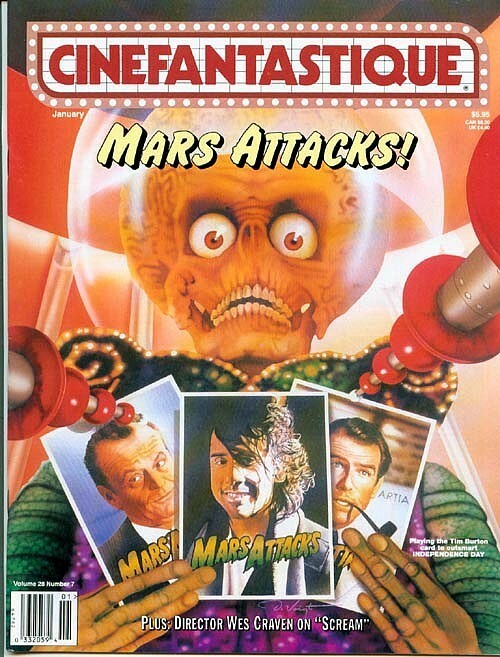 that are Lexx-centric or Michael features.